All players connected to any walking football club in Wales are fully welcomed to join us on our outdoor 3G pitch facility at Cardiff International Sports Campus on Sunday 29th April 2018, starting from 11am. Don’t currently play for a walking football club? 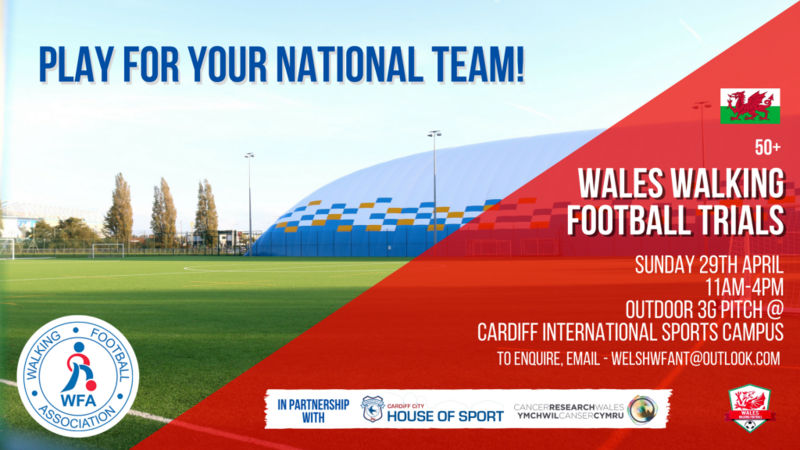 Join the Cardiff City FC Foundation team! The WFA are pleased to announce, on St David’s Day, the appointment of two management teams for the Welsh National Walking Football over 50 and over 60 teams. With the support of the FA of Wales, the WFA will assist the management teams in both the establishment of Walking Football Wales and a new National League of Wales. 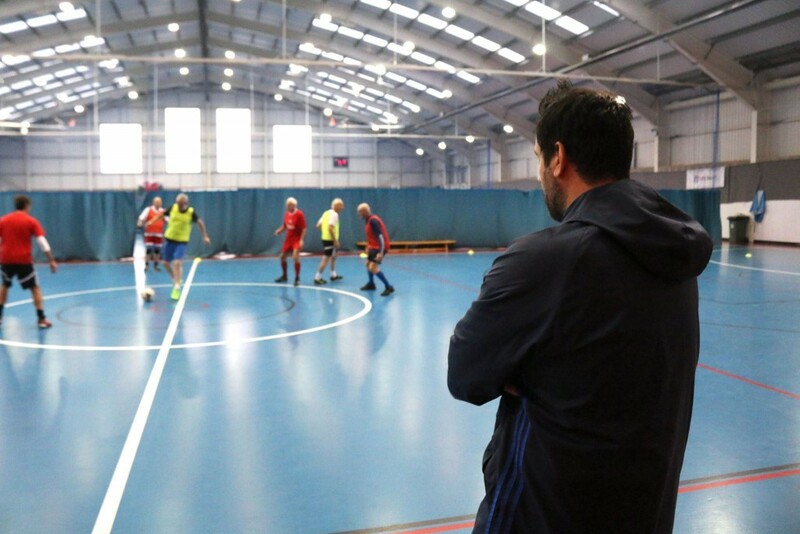 These initiatives are aimed at promoting awareness of the sport throughout Wales and at producing teams capable of competing at the WFA Euros to be held in England in 2019 and at the WFA World Cup in 2020. Wales’ first International, for both age groups, is provisionally scheduled for October against England. Based in North Wales? Walking football trials will also be taking place at Afon Spa at Deeside Leisure Centre on 19th May 2018 from 2pm. For all enquiries about the trials, email welshwfant@outlook.com. For all House of Sport enquiries, email info@cardiffcityhouseofsport.co.uk or call 02920002555.